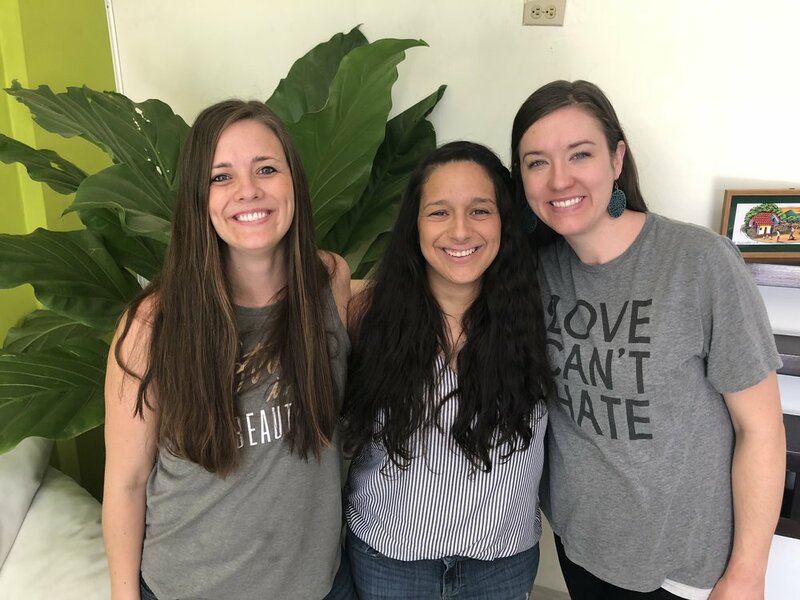 Team members Amanda Davis, Ninfa Parker, and Anna Reyes have been serving in Latin America together for over a decade. This kind of friendship makes for a healthy team dynamic and demonstrates to others that they know the Lord, because of their love for one another. In March, I had the opportunity to travel to El Salvador with my fellow team members to facilitate a highly anticipated Recursos Conference for teachers, among other trip goals. I was particularly impressed by our team dynamic. Our team had various ages, genders and cultural backgrounds; but, one thing we all held in common was keeping one another’s interests in mind. We each had individual responsibilities, but it was evident throughout the trip that we all understood our individual responsibilities were a part of a bigger goal. We worked together to ensure each of us were successful in our respective areas. It was inspiring to see this value demonstrated amongst all members. I was personally encouraged and built up at some point by each person on our team. There was a specific moment on the trip where my team saw a particular need of mine and responded. As I prepared to teach a workshop on early childhood education at our conference for over 100 experienced educators, I began to feel unequipped and lacked confidence. I was anxious and grew hesitant. Teaching children comes very naturally to me, but I have minimal experience in teaching adults. It’s humbling to admit that insecurities crept in. Had I not been a student of God’s Word for many years and confident in my capacity as an early childhood educator that the Lord has developed in me, I would’ve been lost in the nerves. In this pic, Amanda (right center) enjoys a meal with the team. Fellowship over a meal was an important part of Jesus’ ministry and it’s something we implement as often as we can. Growing in our relationships as a team is paramount so we can continue uplifting one another as we serve together. The night before the conference, as my insecurities grew louder, I found myself sitting on the porch with my team where I felt safe and free to express my feelings. I was not met with judgment that caused me shame; instead, I was built up in love through their honesty, encouragement and intentionality to prioritize my need late at night. The love from my teammates didn’t stop there. Team member Ninfa Parker, who would be translating for my workshop at the conference early the next morning, stayed up late into the night to work through my communication and delivery for the conference. I was overcome with thankfulness and was reminded of what a privilege it is to not be alone in serving the Lord! L to R: Anna, Doris and Amanda share in a moment of prayer. Loving others is often easier than letting others love you. On this trip, Amanda experienced both. Although conference day came with some nerves, they were outweighed by the confidence that I felt in the Lord and from my team. Because others put my interests above their own, I was able to grow, develop and share my expertise with so many teachers at the conference, which in turn allowed them to grow and develop in their capacities, too. Humbly receiving allowed me to joyfully and confidently give of myself. This consideration and the excited and empowered teachers on the other side of it was priceless.